Home » naija news » Anambra gov. grants 25 prisoners freedom and gives each N1m. Anambra gov. grants 25 prisoners freedom and gives each N1m. 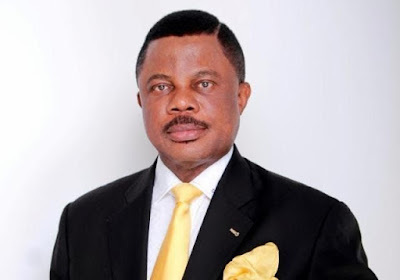 Twenty five prisoners from the three prisons in Anambra state have regained their freedom as well as received empowerment to the tune of one million naira each from the state government. Governor Willie Obiano announced the prerogative of mercy and the empowerment on the prisoners serving different jail terms in Awka, Onitsha and Nnewi prisons as part of activities marking the nation’s fifty fifth Independence Anniversary and as a measure of hope to them to be able to re-integrate into the society and fend for themselves. At a personal visit to Awka Prisons where he meets the five lucky inmates, it was a scene of overflowing emotion as the prisoners were in tears appreciating the gesture and pledged to lead a life worthy of emulation as they reunite with their families and the larger society. The Attorney General and Anambra State Commissioner for Justice who called on the governor to perform the function of amnesty said it was the first time a sitting governor would be supervising the handing over of pardon on prisoners in the state. The governor expressed his joy for performing the function that would give hope and bring life to the beneficiaries. The governor signed the prison’s visitors register and had a group photograph with the released prisoners alongside other dignitaries. Sixteen prisoners were released in Onitsha Prisons while four would regain their freedom in Nnewi prisons.